Kristen and Siya are high school sweethearts, now husband and wife and have been globe-trotting together for the past 11 years. They are two of the top travel personalities and travel video content creators on YouTube accumulating over 700,000 views each month. From hiking the Malaysian jungle to surviving an erupting Guatemalan volcano, these two have quite a few stories to share. 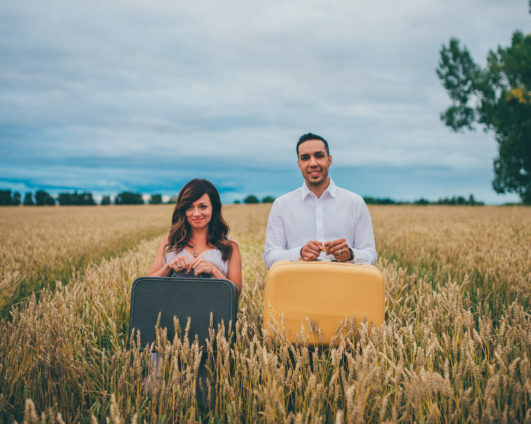 They have travelled to over 50 countries and documented every step of the way through their website and YouTube channel – Hopscotch the Globe. As leading travel influencers, they’ve had the opportunity to work with some of the world’s top companies including Lonely Planet, Sony and GoPro. They have been most recently named one of the top travel vloggers by Matador and USA Today. Siya and Kristen’s passion for travel is apparent in each video they produce, but what really makes them stand out is their entertaining and dynamic personalities. They make travel fun and real, inspiring hundreds of thousands of people to get out their and explore this beautiful planet.